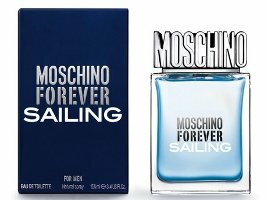 Moschino has launched Forever Sailing, a new fragrance for men. Forever Sailing is a flanker to 2011's Moschino Forever. The notes include icy mint, lemon, grapefruit, lavender, juniper, patchouli, amber wood and musk. Moschino Forever Sailing will be available in 30, 50 and 100 ml Eau de Toilette.